Not since the Crusades, perhaps, has an understanding of Islam’s self-understanding of itself been a more immediate political issue. Behind this sudden rise of Islamic unrest is an issue of deeper import. Stanley Jaki has been one of the few scholars knowledgeable enough and careful enough to address the origins of the problem that lies behind the public unrest. At bottom the issue is nothing less than Islam’s understanding of the meaning and nature of its God, of Allah. The other and more visible civil turmoils are the consequences, carried out in different ways, of the implications of this basic issue. Bernard Lewis, in his Jefferson Lecture of 1990, saw the issue in terms of “secularism and modernism,” which presumably could be relied upon to tame this Islamic turbulence. “The war against modernity is . . . directed against the whole process of change that has taken place in the Islamic world in the last century or more and has transformed the political, economic, social, and even cultural structures of Muslim countries,” Lewis continued. Islamic fundamentalism has given an aim and a form to this otherwise aimless and formless “resentment and anger of the Muslim masses at the forces that have disrupted their societies . . . robbed them of their beliefs, their aspirations, their dignity, and, to an increasing extent, even their livelihoods.” Jaki’s position addresses the very origins of this modernization and secularization in a unique way because he sees the centrality of science and religion in these very changes while at the same time he rejects the secular humanist implications that seem to be present in Lewis. William F. Buckley, Jr., likewise, has taken note of the perplexity we have in understanding Islamic aims and principles. “We are, after all, face-to-face with something very different from the religion common to our own culture . . . ,” he wrote. In Islam, where The Law as put forth in scripture (the Koran) and tradition (Sunnah) is “To be reflected exactly not only in the personal lives of believers, but also in the laws of the state as well . . . The government of Muslim states is explicitly an institution of God.” It is this understanding of “The Law” that deserves some further attention, in the light of Stanley Jaki’s work. An abiding theme in the work of Stanley Jaki concerns the various still-born historic initiatives to begin science and to sustain, once begun, its self-generating progress. We might like, perhaps, for cultural or ecumenical reasons, to believe that science could have commenced just anywhere, at just any time, with just any people, with just any cultural, religious, or philosophic presuppositions. The fact is, however, that science requires certain definite habits of mind, certain understandings about the reality of the world, and certain epistemological ideas about the relation of mind and reality. Without these specific ideas and habits, moreover, there will be no original or continuing science. To be sure, any human being, in any time or place, can in principle learn and understand such principles and habits we call science if he has the will, talent, and understanding to do so. That too is part of the very meaning of both universal science and universal human nature. It is only in this latter sense of a common human nature in a real world that we can know with our given intellects that a universal philosophy and an abiding truth open to all men are possible. In the history of the world, it was neither necessary nor inevitable that science would develop in the first place. And by changing our ideas, it is still possible for it to disappear even where it has already materialized. In those places in the world where science has not appeared, furthermore, it will not appear or develop until certain and known ideas and basic views of the world are accepted. All these observations should be stated with the full realization that some scientists can be charlatans, while many errors are found in the very effort to develop science, the importance and meaning of which errors Stanley Jaki has himself clarified in a magnificent passage in The Relevance of Physics. Readers of Jaki’s work are familiar with his discussions of the fate of science in China, Greece, India, Mexico, and Islam. Unlike many historical discussions of the origins of science, Jaki takes seriously the specific differences of beliefs, customs, and philosophies as reasons for the origin and continuation of science or the lack thereof. Jaki is objective enough to grant that certain ideas are necessary for certain developments to take place. Not everything can come from anything. Some ideas, some theories, some experiments, and some endeavors just will not work. This relationship is what the very idea of truth as a conformity between mind and reality means. In the case of Islam, in particular, Jaki argues that the particular notion of Allah found in the Muslim theologians and philosophers whereby Allah is pure will makes science, in principle, impossible. Jaki thus sees that the real problem, even with science, is theological. An all powerful God free even from the principle of contradiction makes both the meaning of God and of the created world impossible to ascertain. On this premise, science as an investigation of and knowledge of a reality that is simply given, but given to be what it is, becomes impossible. On the surface of things, however, this position, that science investigates a real finite world to find its universal laws that can be discovered and formulated by the human mind, might seem perfectly obvious were it not for the cultural and theoretical issues involved. Both the conflicting claims to truth of the various religious and the claims to the un-knowability of truth in relativism and multiculturlism make it seem that science itself as a claim to truth is a very limited, even dangerous thing. If science is a good thing and if it bears a true description of an actual world in all its interrelationships, however, ideas-religious, philosophical, racial, or cultural-that do not allow for this scientific understanding must in some sense be not merely unworkable but positively wrong. If and to the degree that there is a scientific truth, positions contradictory to it, which cannot in principle support its premises, cannot be maintained except at the cost of making science subjective (Kantianism) or of giving up science altogether-which a people, a nation, a religion, or a culture is free to do. 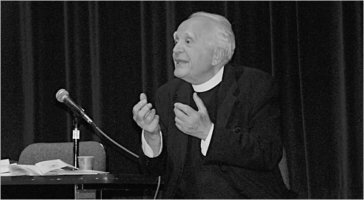 What is most counter-cultural in Jaki’s own work, of course, is his argument, made with great care and erudition that at the origins of science as we know it lie certain theological positions that deal with the actual world, particularly those of Creation and Incarnation. The problem of reason and revelation arose because of the historic confrontation with Greek science and philosophy with the three established revelational religions. Primarily, this is an issue in Judaism, Islam, and Christianity, though in some respects Plato is pertinent here also. The most important question that arises, consequently, concerns the relation of Judaism, Christianity, and Islam to science and its origins. This issue is particularly pertinent since it has been claimed all through modernity that science undermined religion. Jaki’s work is precisely to examine the tenuous basis of this claim, without denying the problems science causes religion. The case of Islam falls under this general consideration as an example of a religious theory that cannot, in principle, maintain the logic of science and simultaneously be consistent with itself. Jaki argues that the origin of modern science is medieval, that the first law of motion was a medieval discovery (Burdian). Jaki further argues that this law was originally formulated because the theological position of Christianity on Creation from nothing required the rejection of a pantheist or animist view of the world, especially a rejection of the notion of the eternity of motion. Motion thus had to have an initial impetus or cause. Jaki further argues that the doctrine of the Incarnation of Christ was the doctrine that forced attention to the specificity of the world in time and of each moment and being in it. In general, science could not develop without the notion of a beginning in time in which, however, there were stable secondary causes that had their own reality. nature, and stability. Science was an account of specific events, specific relationships which were observed, tested, understood. With this background, Jaki has a particular problem with Judaism, Islam, and Eastern Christianity, each of which would, paradoxically, grant the doctrine of the Creation of the world. Eastern Christianity, moreover, would have no difficulty with the Incarnation but science did not originate there either. Thus, in Jaki’s argument, there must be some teaching or doctrine in Western Christianity that was particularly apt for the beginnings and progress of science. This was the doctrine of creation from nothing that caused Burdian to realize that motion must have a beginning and not be eternal, that once begun, motion would not stop unless impeded by something outside of itself. Jaki, of course, does not deny the basic Christian teaching that neither Creation nor Incarnation can be proved by science though he does hold that the existence of God can be proved from reason through the finite things that exist. Jaki. in agreement with Aquinas, does not hold that either the doctrine of Creation or Incarnation can be the conclusion of a scientific premise, however much they are not capable of being shown to be contradictory to any truly scientific position. Clearly, in Jaki’s analysis, some aspect of Allah, as described in the Koran, makes the ability properly to see science impossible, whereas there is something in the Christian understanding of God the Creator that fosters this relationship. What is the essence of Jaki’s position? Briefly, that the orderly notion of science, the three laws of motion and the engineering developed as a result of these laws, required a proper view of the actual world and what happened within it. The crucial Muslim thinker is Avicenna (d. 1037). The Koran did have a notion of Creation, but Avicenna held a Plotinian emanationism in which creation of new beings from nothing is replaced by a transformation of God Himself into everything else. God eternally produces world, but He is not a Creator. Like the Latin Averrorists, Avicenna and the Arab philosophers put Aristotle’s pantheism ahead of the Koran. Since Muslim scholars failed to formulate a proper idea of creation from nothing in time from a definite beginning, Jaki concludes that this failure is a theological failure. It results in either occasionalism or pantheism, neither of which can found science. Jaki further analyzes the position that science is merely a result of civic development with on need to worry about religious or philosophic ideas to support it. The two truth tradition which proposed to let the two spheres exist side by side with no attempt to relate one to the other left the culture and the philosopher at war each with itself and with no firm basis for science in either system. Jaki points out that the exposure of the Muslim world to science and technology has made it alert to its own inferiority in the area of science. No theory of exploitation or military submission will avoid the real problem which is the understanding of the world and its causes, including the nature of God and creation from nothing, that will make science possible. Essentially, what Jaki is arguing is a religious and philosophic consistency of idea and action that would in fact result in a true representation of God and the world, one which in fact has been worked out in the history of science. In this context, it would be wrong to consider Jaki either as anti-Muslim or pro-Christian, but as someone who sees where the issues lie and who is willing to spell them out and articulate their relation to a true understanding of science and its history. “The Muslim world is fully justified both in deploring the abuses of science and in trying to apply science in a humane way,” Jaki concluded with much sympathy. Clearly, on the basis of the Muslim theoretic understanding of Allah and of the consequences of that understanding of the world and its laws, Jaki does not think the impetus of the Koran is compatible with the impetus of science. Neither wars nor acrimony will resolve the validity or invalidity of this position, only the accurate and true understanding of both the theoretic positions of the Koran and of science. Eventually, true ideas must replace untrue ones. No religion or philosophy or science would, in Jaki’s view, have it otherwise if such principles are clearly spelled out. Jaki’s service to Islam is of a piece with his service to Judaism, Christianity, and to science itself, a persistent, clear presentation of what science is, what religion is, of how they might relate to one another. Stanley L. Jaki,”On Whose Side Is History?” Change or Reality and Other Essays (Lanham, MD. : University Press of America, 1986), 242. For a general view of Jaki’s work, see Paul Haffner, Creation and Scientific Creativity A Study in the Thought of S. L. Jaki (Front Royal, VA.: Christendom College Press, 1991; P. F. Hodgson, “The Significance of the Work of Stanley L. Jaki,” The Downside Review, 105 (1987). Bernard Lewis, 19th Jefferson Lecture in the Humanities, “Western Civilization: A View from the East,” Washington, D. C., May 2, 1990, 23. William F. Buckley, Jr., “Unfamiliar Foe Among Us,” The Washington Times, July 8, 1993, G3. Stanley Jaki, The Relevance of Physics (Chicago: University of Chicago Press, 1966), 219-21. “On Whose Side Is History?” ibid., 242. On the relation of this same idea of the deity as pure will to Occam and Hobbes, see Josef Pieper, Scholasticism (New York: McGraw-Hill, 1964), Chapter XI. See Stanley L. Jaki, Universe and Creed (Milwaukee: Marquette University Press, 1992), 86 pp. See Etienne Gilson, Reason and Revelation in the Middle Ages (New York: Scribner’s, 1938); James V. Schall, Reason, Revelation, and the Foundations of Political Philosophy (Baton Rouge: Louisiana State University Press, 1987); Faith and Political Philosophy: The Correspondence between Leo Strauss and Eric Voegelin, 1934-1964, Edited by Peter Emberley and Barry Cooper (University Park, PA.:Pennsylvania State University Press, 1993). Jaki’s own most thorough treatment of these issues is in The Road of Science and the Ways to God (Chicago: University of Chicago Press, 1978). Stanley L. Jaki, Uneasy Genius: The Life and Work of Pierre Duhem (The Hague: Martinus Nijhoff, 1984), 231-32. Stanley Jaki, The Physics of Impetus and the Impetus of the Koran,” The Absolute Beneath the Relative and Other Essays (Lanham, MD. : University Press of America, 1988), 151. Originally published with the same title in the Fellowship of Catholic Scholars Quarterly, 32 (Summer 2009), 14-17. Written by James V. Schall, S.J. James V. Schall, S.J. was a Professor of Government at Georgetown University. He is author and editor of over thirty books, the latest being Docilitas: On Teaching and Being Taught (St. Augustine's, 2016).